Traumatic incident(i.e. landing from height, twisting, trip or a fall, car accident). Without trauma (bursitis, repetitious walking / running, poor foot posture, muscle imbalance, muscle weakness, degeneration). The most common injuries to the knee are known as the “unhappy” triad. That is a medial meniscus tear, anterior cruciate tear and medial collateral ligament tear. Pre-patella bursitis, patellofemoral joint syndrome, ITB syndrome, patella dislocation and osteoarthritis make up the majority of the remaining injuries. Some unusual injuries include osteochondritis dissecans, Perthes’ Disease, Slipped Capital Femoral Epiphysis. If your knee hurts, don’t ignore it. Physiotherapists are well trained to give an accurate diagnosis and treatment the problem. We can refer for MRI, CT, X-ray, Ultrasound or blood test as required. We are able to provide a proven, safe and effective treatment. 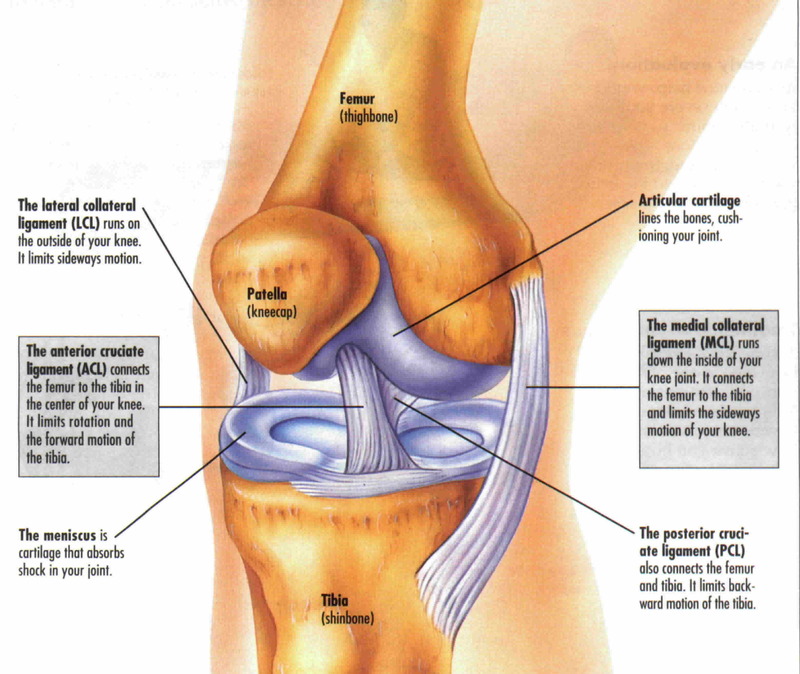 Knee pain is very individual due to the large number of structures and factors that contribute to your condition. What works for others may not work for you and you will have to trial various treatments under the guidance of your Physiotherapist to find what works for your particular condition.